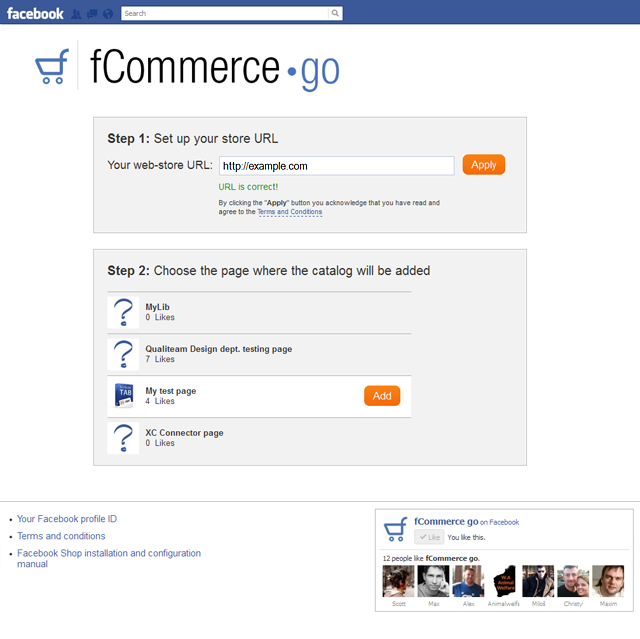 Integrate X-Cart with your Facebook business page quickly and easily. 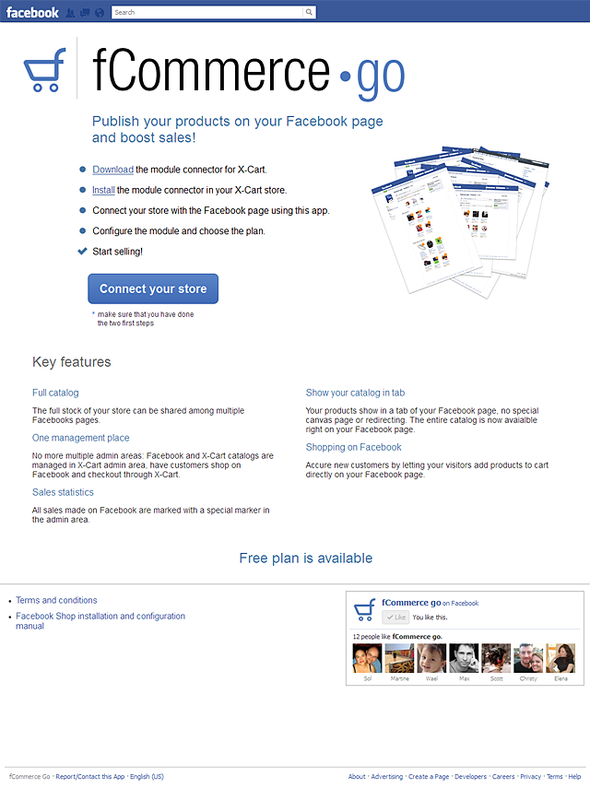 Add X-Cart to your Facebook pages and multiply your sales using Facebook as a sales channel. We like the module because it is an easy way to help promote our products on Facebook while making it all look very professional. 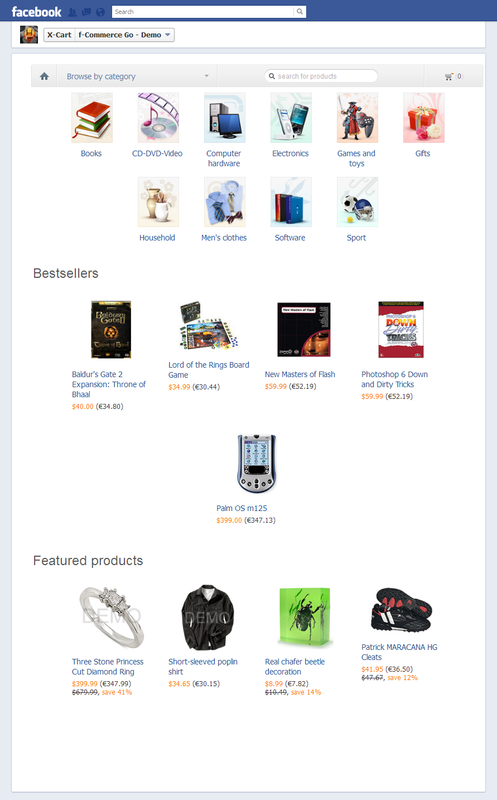 Shopping right from Facebook – how awesome is that? 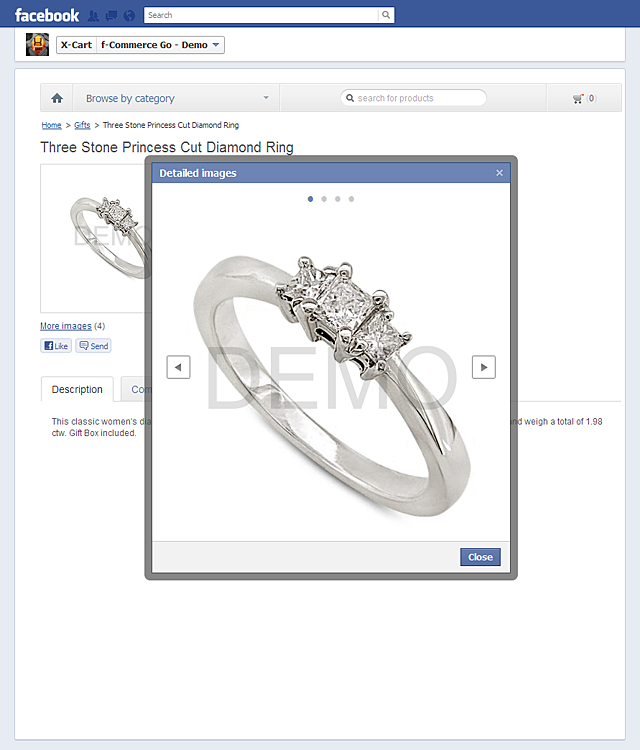 Increase your sales base by letting visitors to your Facebook page add products to their cart directly from Facebook, then put the power of social media to work as customers share recommendations and purchases that attract more customers! 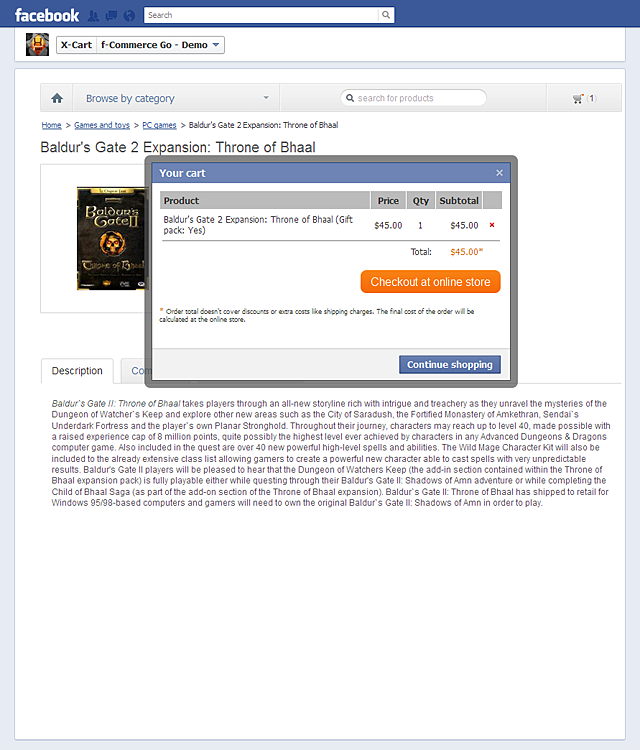 No special canvas page or redirecting: your entire inventory shows up in a tab of your Facebook page and can be accessed from multiple Facebook pages. 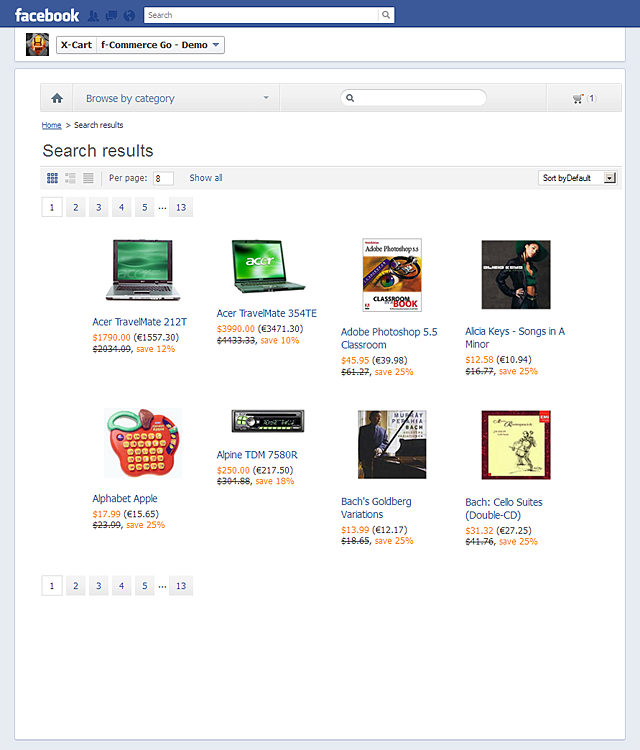 Facebook sales are clearly marked in your store admin area for easy tracking. No more multiple admin areas! 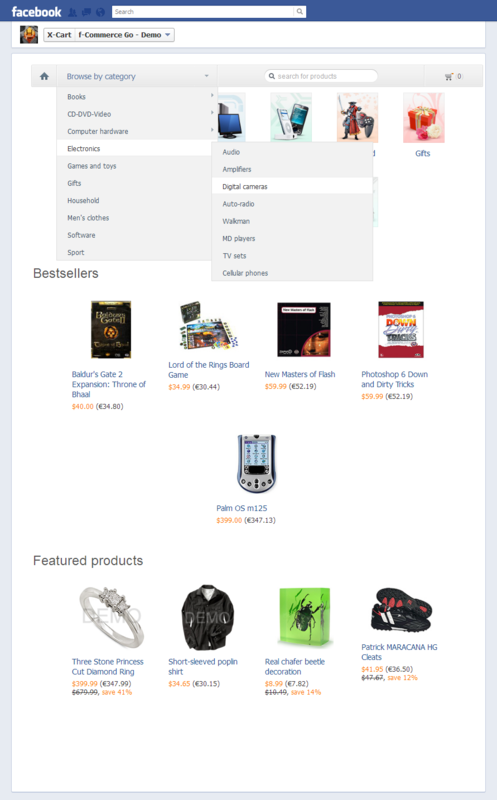 Customers shop on Facebook and checkout through the web storefront, and both Facebook and store catalogs are managed in the store admin area. Free for Basic version. 30-day free trial period for Silver! 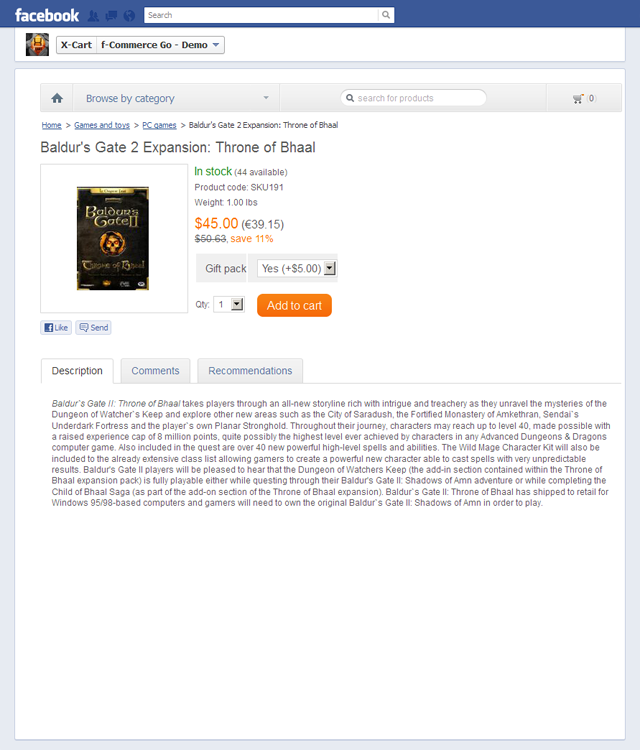 Basic version users can get free. 30-day full featured trial of Silver version.